Nebraska wheat producers are fortunate to have new varieties available each year from public and private breeding programs. Many of these are featured in the UNL Wheat Variety Trials, conducted annually to provide growers with field-tested yield and crop response information. As those listed here are new varieties, please understand seed may be limited for the first year. As you can read in 2016 Winter Wheat Varieties for Nebraska, the State Variety Trial is a critical source of information. We always recommend using the three-year variety averages so growers get an idea of the consistency of the varieties over time. Each growing season is unique and while no one knows what the next year will bring, using the three-year average gives an idea of consistent performance. Of course, growers can use data from one, two, three or more years depending on their comfort with risk. Before a line or variety is entered into the State Variety Trial, the breeding program has a minimum of five years of testing and more likely 10 years of internal development and testing in their breeding program. Hence the breeder and his or her organization have years of testing information before the public sees the line. Southeast and South Central Nebraska. The new variety to consider is Husker Genetics (HG) Ruth. Its full description can be viewed online in the Wheat Virtual Varieties Tour in the Wheat section of CropWatch. Southwest (West Central) Nebraska: The new varieties to consider are: SY Monument and HG Ruth. Western Nebraska (Panhandle): The new variety to consider is HG Ruth. Irrigated Wheat: There are no new varieties to consider as all the top varieties have been tested for four or more years. 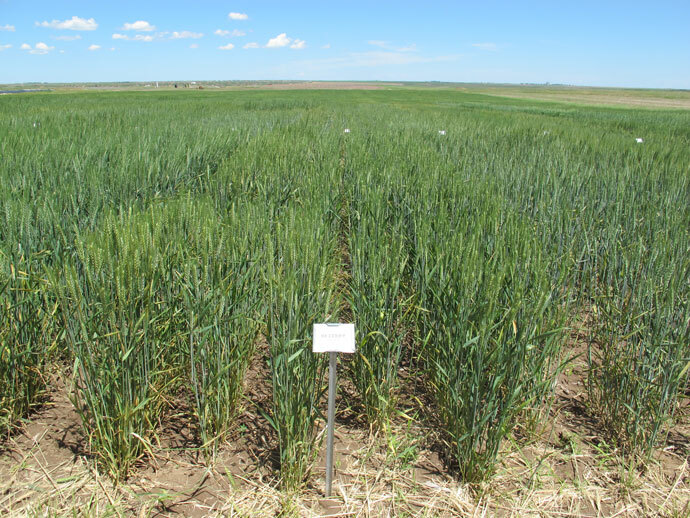 The irrigated trials should remind wheat producers that extensively tested, proven varieties with consistent yields are available to them. 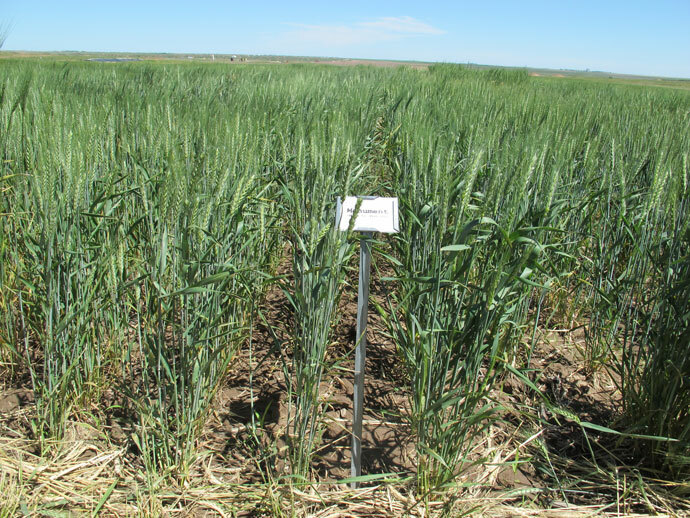 Choosing a new variety to replace a previously grown variety depends on the new variety’s performance and its complementation (see Wheat Variety Selection and Complementation). The importance of complementation is that the grower does not need to add unnecessary risk to their production system. For larger farms, we recommend growing three varieties to spread the risk in case a new disease or insect or a new insect biotype or race of disease emerges, a severe winter leads to above normal winterkilling, or other stresses occur. If the grower is growing varieties with similar genetics as determined by common parents, those varieties are considered non-complementary because they are more likely to contain the same resistance genes or level of winterhardiness. If the varieties have different parents, they are more likely to have different resistance genes or level of winterhardiness, hence they are complementary. Also remember that all the UNL State Variety Trials use seed treatments. To get similar yield results, consider using seed treatments on your farms. Ruth (NE10589), developed by UNL and USDA-ARS for Husker Genetics, is a semi-dwarf cultivar that is awned, tan glumed and moderlately late in maturity. It is broadly adapted in Nebraska.